The new Tube contract will innovate to help brands connect with a valuable audience, Brexit or not. 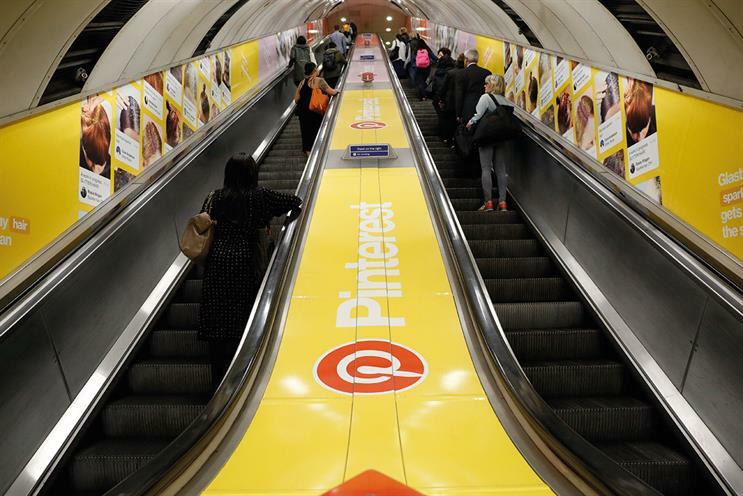 When Transport for London awarded the world’s most valuable out-of-home contract to Exterion Media in March, there was bullish talk that ad revenue from the Tube could almost double to £2bn over eight years. Brexit was barely a consideration. TfL boasted about "the London audience", how the capital has attracted three times more global headquarters than any other European city since 2003 and how its population should rise from 8.6 million to ten million by 2030. If TfL director of commercial development Graeme Craig has doubts about its ambitious ad targets following the European Union referendum, he is keeping them hidden. "I’m not convinced that, in practice, Brexit will make any difference to the contract," he insists. "I don’t see any impact that Brexit’s going to have that changes the fundamentals of how London functions or London’s place as an important city, which is driven by the language, the time zone, the culture and the educational establishments much more than it has been by London being a member of the EU." The new deal starts in October. It is bigger as it includes the Overground and the new Elizabeth Line, with Craig claiming it "has the potential to change the out-of-home market". He says it’s now about selling audiences and connecting brands with them: "It’s important that agencies and brands understand we’ve moved away from Exterion selling assets and we’re saying we’ve got the best, most valuable, most diverse audience in the world." Craig believes TfL’s approach will be more "agile" because, instead of handing responsibility for ad sales and investment to Exterion as it did previously, they will be in partnership. That includes getting Exterion’s staff to work in the same building as TfL, setting up a partnership board to review and digitise the estate and making more intelligent use of data from customers’ travel patterns and Wi-Fi usage. He points out TfL has "more experience than anyone else about how to make changes to our estate". The fact that it is investing £82.5m to improve the ad inventory, Craig adds, "will lead to a very different approach to advertising", following a dispute with Exterion’s predecessor, CBS Outdoor, over the upgrading of the estate a few years ago. Shaun Gregory, chief executive of Exterion, agrees, describing out-of-home as "very outdated". He envisages offering digital screens for, say, two-hour slots and using "millions of sets of anonymised data" to make real-time copy relevant for commuters. "The way this partnership will probably change the way the medium is sold in the next five years is we will be able to talk to you about a defined audience that you want to reach," Gregory says. "We’ll then be able to plan against that audience and come back with something both in terms of the assets you see on the estate or even new things." That means looking beyond "classic out-of-home" if an advertiser wants to combine it with experiential marketing or pop-up radio, Craig adds. Craig says Sadiq Khan is "entirely supportive" despite the new mayor’s interventions. Khan banned ads with an "unrealistic body image" after the row over the "Beach body ready" campaign and plans to pedestrianise Oxford Street – a blow to JCDecaux, which has just digitised the bus shelters. But Craig points out that only a "very small" number of the 12,000 ads that TfL shows annually cause complaint, adding that Oxford Street could feature "enhanced advertising" if traffic is removed. Underground, mobile-phone coverage is to be introduced on platforms and inside carriages – an innovation that could help TfL as it seeks £1.1bn from its ad share. "We’re ahead of target thus far," Craig says. "I would like to think we can outperform the assumptions that were used." Brexit could well decide that.